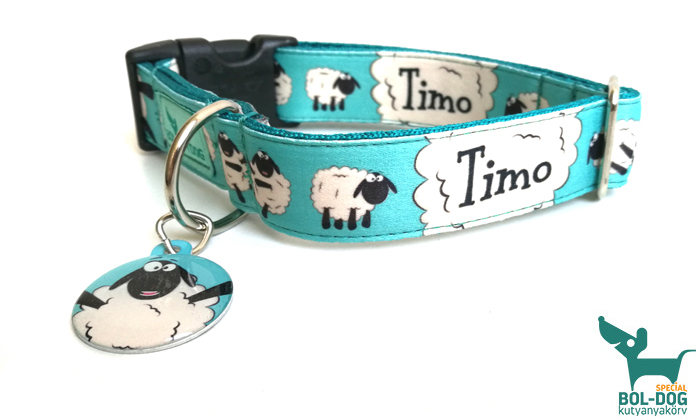 A round auminium dog ID tag on one side of which the same pattern goes as on the dog-collar. The name of the dog and the telephone number of the owner goes on the other side. We sublimate the data on the dog ID tag.